With the passage of time, the virtual racing challenges in Canada are becoming famous and it will allow each and every Canadian to participate in a manner they want. The virtual race is an event where you can choose the distance and time form yourself. It means that you can also choose the way you want to run. You can post a stairs challenge or you can also run on a treadmill. There are many organizations in Canada that make sure that once the challenge is completed the medal is shipped directly to the participant. There are Facebook groups which make sure that more and more people are enrolled in such racing events. Such organizations also post their yearlong event calendar to make sure that the people remain up to date. There are various racing distances which you can run. The most common ones are 10k, 5K and half marathons. It is very important to note that you need to get registered before you take part in these events. For more info, you can also search the term virtual racing in Canada. There will be 13 full moons in 2018 and this is what this challenge is all about. You can run as you want and the best part is that it will make sure that you earn a medal. These challenges will start as soon as you get the full moons in the sky. 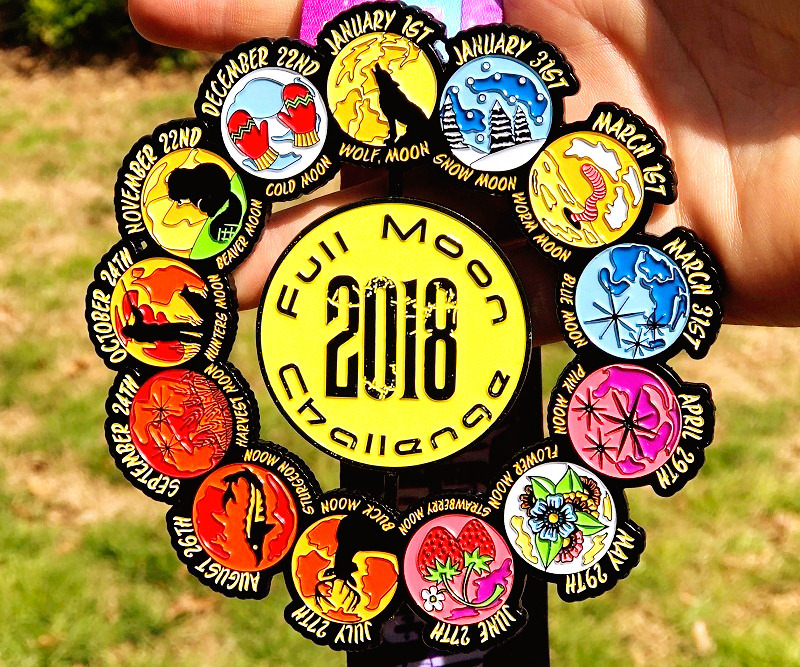 The best part of the full moon challenge is that it can be any type of race you want. The most common challenge which you can participate in is the 13 miles running and this can be done on your treadmill easily. It is highly regarded as one of the best events to participate in. Once you get registered you will get a T-shirt and a hoody. Now this one is really simple. You just need to run at least 1 mile in 2018 and it is even better if you choose your birthday for it. The price is a birthday cake medal which will be shipped to your address as soon as you complete it. The best part of the race is that you can choose the way you want to complete the one-mile race. This virtual race has grabbed the attention of the people from all over Canada as it is a fun-filled activity. You just need to report the finishing time to the event organizers to get the medal. The theme of this virtual race is simple. You need to run 4 miles in 2018 one for each season to complete the challenge. There are 4 medals which are associated with this and if the challenge is completed then you get all 4 of them. As a bonus, you will also get a hoody and the t-shirt from the organizers of this event which make it one of the best virtual racing events. Instead of running you can also walk to complete the challenge as it is up to you.